The Boardwalk in Ocean City New Jersey. As the U.S. continues to experience mass shootings and other threats throughout the country, officials at the Jersey Shore are upping security efforts and training this season. 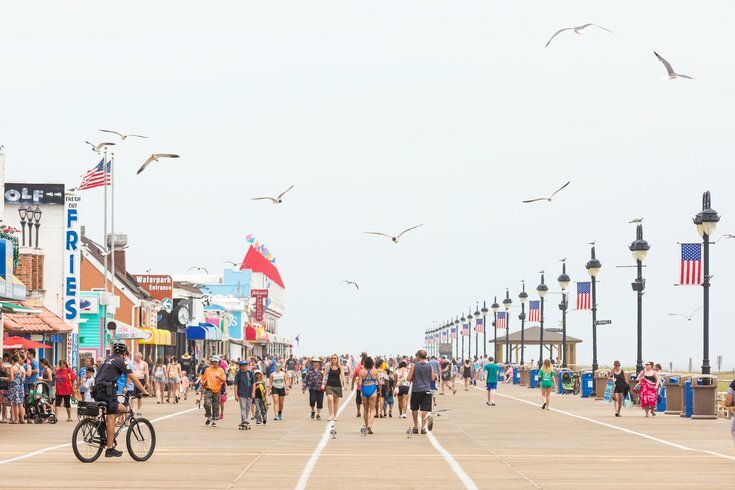 The New Jersey Office of Homeland Security and Preparedness is launching a “Secure the Shore” initiative this summer to put in place safety precautions, especially for large-scale, outdoor gatherings and events in public venues. NJOHSP is coordinating with local, state, county, and federal law enforcement. According to a press release, officials will focus the initiative throughout Monmouth, Ocean, Atlantic, and Cape May counties, making visits to boardwalks and local businesses, as well as training lifeguards and beach patrol on how to safely identify and report suspicious activity. NJOHSP also encourages beachgoers to report suspicious activity as part of the “See Something, Say Something” campaign. In September 2016 in Seaside Park, reports of suspicious activity helped thwart a number of pipe bombings during a 5K race. Though the public was key in reporting that activity and avoiding the attack, some warn that the “See Something, Say Something” campaign can lead to bias for untrained civilians. Jeff Schwartz, a retired sergeant of the Woodbury Police Department, told WHYY that the emphasis is on profiling behaviors, not people. Suspicious behavior could include people trying to enter restricted areas, or people asking what kind of items others were able to smuggle in, Schwartz said. “Engendering this level of suspicious activity and reporting awareness is paramount to preventing future attacks and developing strategic plans for both short- and long-term solutions to emerging and evolving homeland security concerns,” said NJOHSP Director Jared Maples in a statement.